Linking up to Wordless Wednesday and Wordless Wednesday Blogger. 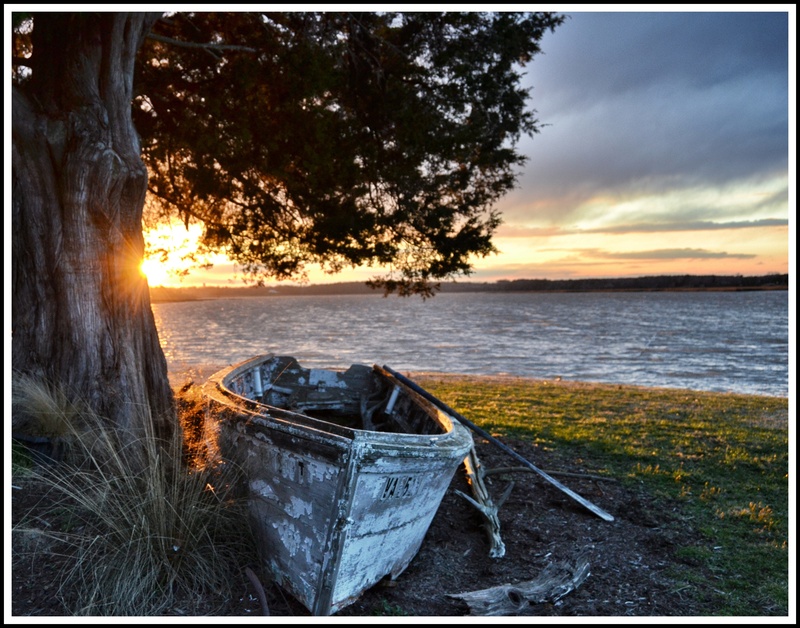 This entry was posted in Days at Home, Sunrises/Sunsets and tagged old wooden boat, springtime sunset. Bookmark the permalink. Gorgeous Dianna! I don’t know what editing you used on this golden hour beauty but it is awesome. Awesome composition! I feel(wish)like I am right there! Simply Wow! Perhaps your very best! Stunning! I agree with MJ…it really does look like a painting! My first thought was…a painting. Absolutely gorgeous. Print this and give to all your Christmas list. Hint, hint!!!!! Beautiful! I also love the daffodil under “Currently Blooming” – this winter seems to have lasted way too long! Beautiful! Now if we could just have some SPRING to go with the SPRING sunset !! Doesn’t get any better than this. The scene and the photograph! What a fabulous shot! It looks like a painting! Great shot. A perfect sunset. Oh Dianna, this one is definitely frame worthy and deserves a special space on the wall. Simply gorgeous! Very pretty! It looks so tranquil there. You pictures are getting better and better. This one is superb!